Yggdrasil Gaming sure knows how to make beautiful games! And with their August 2018 release Hanzo’s Dojo, they’re transporting you in the lush plains of Asia where a dojo sits and where the action of the game takes place. And action this game sure delivers a lot of! So don’t miss the review below to know more about the different features you’ll trigger as you play. There’s no shortage of features in Hanzo’s Dojo Video Slot! 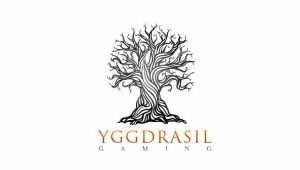 But unlike other Yggdrasil game, you’ll quickly understand them after only a few spins. In fact, the visuals of this game and how the feature works make it an ideal game for all types of players to enjoy. But anyway, if you’re curious to know more about them simply read our brief explanation below. Granted that the reel set is not a feature as such. But since Hanzo’s Dojo game grid is different, we thought we’d touch upon this subject briefly. So, when you load the game have a look above the reels. You’ll notice an extra row of 3 symbols above the central reels. To sum up, this extra row will help you trigger expanding Wilds and even Free Spins based on the symbol that lands in view. But keep in mind that not every spin will display symbols in the rooftop area. Yes! Bonuses! Because when you play Hanzo’s Dojo, they’re two different Free Spins features you can trigger. To sum up, the Hanzo Free Spins will give you 3 Free rounds when 3 Hanzo symbols land on the rooftop. And you’ll play a random number of Free Spins with the help of 3 or more Free Spins Symbols. To know the amount of Free Spins you’ll play simply add the values written on the symbols itself. But that’s not all! Indeed, when you trigger the bonus with the help of Free Spins symbols know that you’ll also get a winning booster! And the random winning booster can either be a Colossal Sticky Symbol, Nudging Reels, Win both ways, Wild Reels, Multiplier and extra Free rounds. The feature you’ll activate is always displayed on the lanterns on the right-hand side of the reels and in a pop-up before the bonus starts. If you’re looking for an action-packed slot that will give you frequent wins, then Hanzo’s Dojo is really worth a spin! As always Yggdrasil delivered a beautiful game, but this time it’s a super easy game to understand! See for yourself and visit any casinos that offer their games! Have fun!